NOW ACCEPTING NEW CLIENTS! PLEASE SCHEDULE ONLINE OR CONTACT ME VIA PHONE OR THE CONTACT TAB. Here at Massage Regeneration, we specialize in Pain Relief. Armed with detailed knowledge of neuromuscular therapy, isometric stretching, kinesiology taping and cupping to name a few. We go straight to the source and attack it. We don’t believe in “cookie-cutter” full-body routines. Instead, we will provide you with a therapeutic massage specific to your needs. If you’re looking for a well rounded trained specialist who has experience working with professional athletes, student athletes, injuries and basically anyone with pain, look no further. 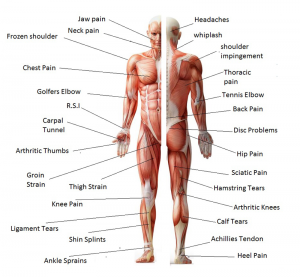 A VERY COMMON COMPLAINT is people in pain looking for relief utilizing the cheapest massage out there, however numerous clients have complained to us about their experience at typical massage therapy clinics, local franchises, and cheap internet deals. The problem is it didn’t help with their pain! It may have been cheap but it ended up being a waste of money. If you go to McDonald’s don’t expect a quality dining experience. CHOOSING A SPECIALIST WILL SAVE YOU MONEY in the long run because we are specifically trained to find the source of the problem. The work will be more effective and efficient. This means better results in a shorter amount of time. At Massage Regeneration you will always receive high quality work from a medical massage therapist who WORKS WITH PAIN REGULARLY and is committed to resolving your condition. We strive to get the best results, and we have a proven reputation. Check out our reviews. Affordable pain management massage therapy provided by a licensed massage therapist in a comfortable studio is available right here in West Bend, WI. I focus on the source and attack it. I don’t believe in standardized full-body routines. Instead, I will provide you with a therapeutic massage specific to your needs. I’m educated with detailed knowledge of neuromuscular therapy, isometric stretching, kinesiology taping and cupping to name a few.